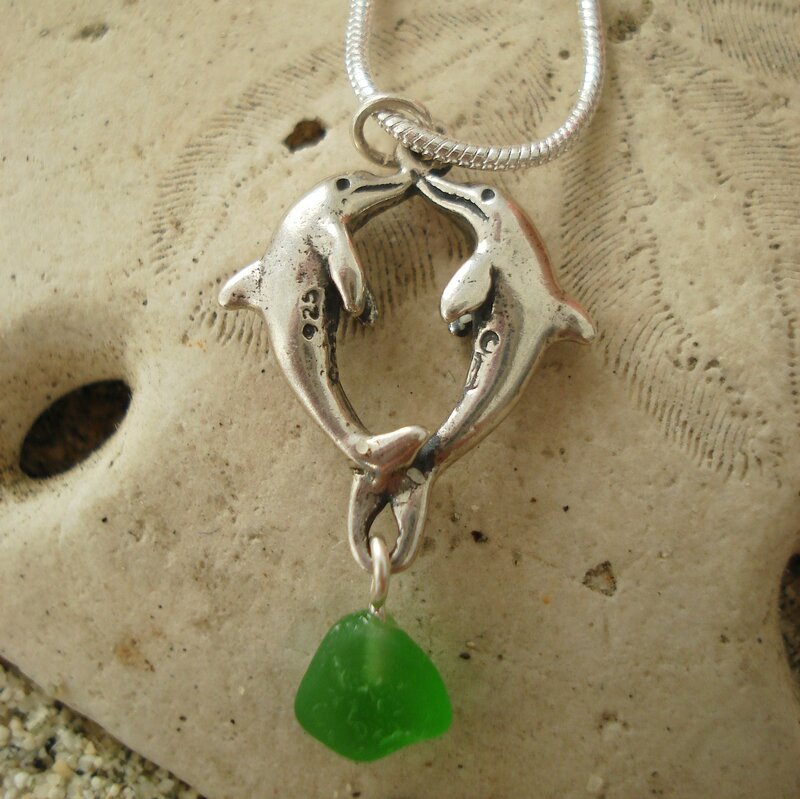 View cart “Teal Sea Glass Pendant on Sterling Slider” has been added to your cart. 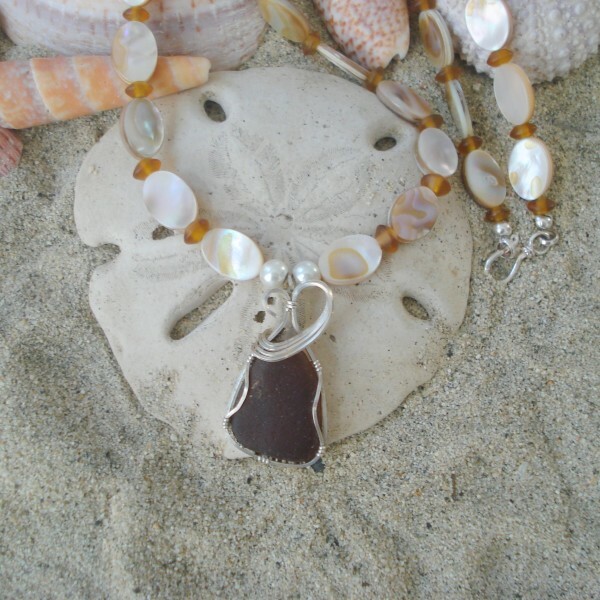 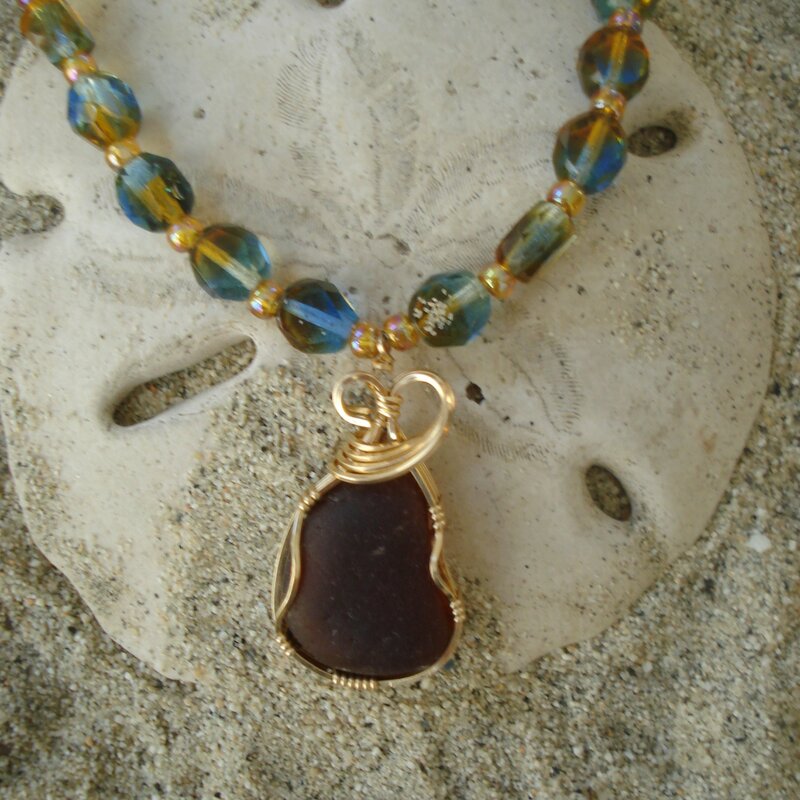 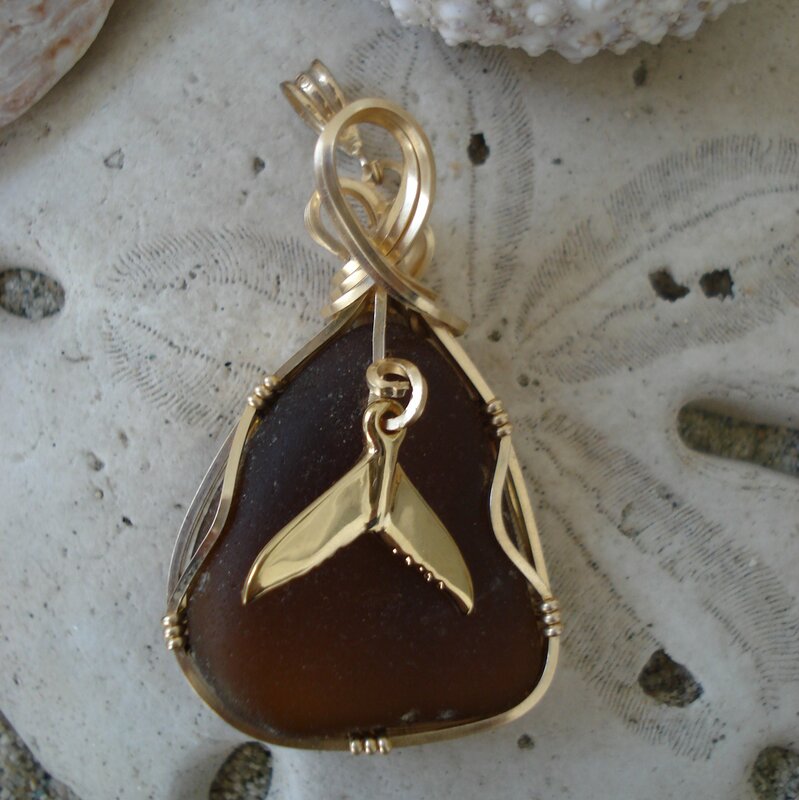 Mother of Pearl and Brown Sea Glass Pendant Necklace. 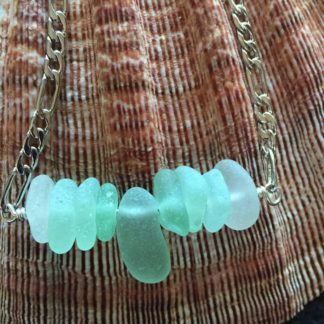 This necklace reflects the ocean with its sea glass pendant wrapped in sterling silver and complimented with mother of pearl oval beads. 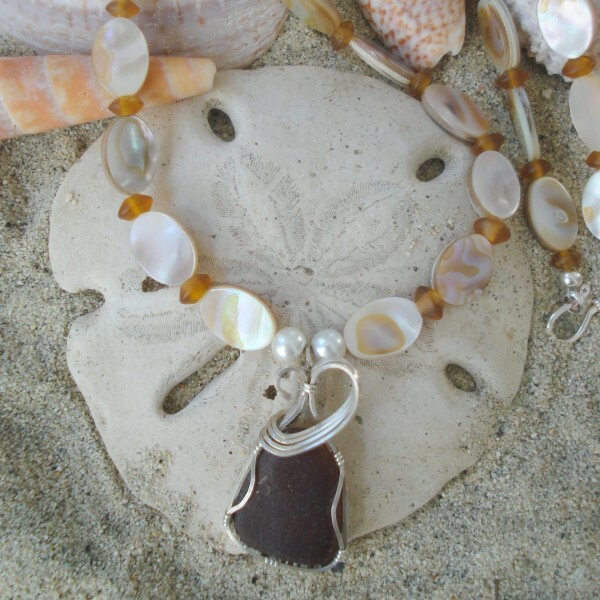 Tiny caramel beads accent the mother of pearl. 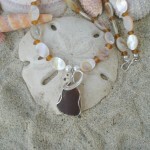 Sterling hook and eye clasp. 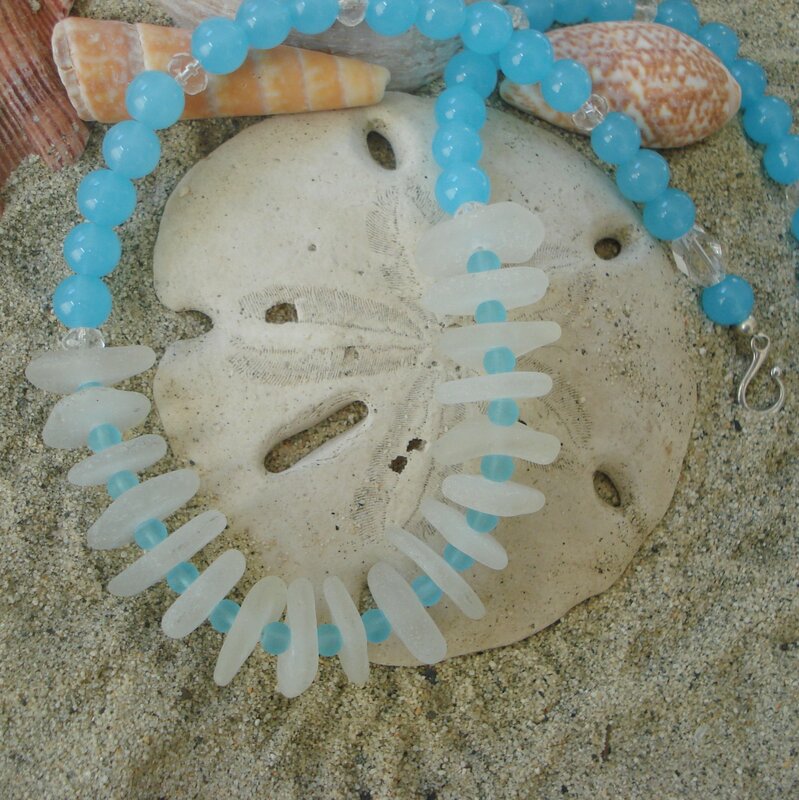 Length of necklace measuring from end of clasp to other end – 21″. This necklace is not only pretty it has that nature feel to it.